One of the first things we need to learn from a new language is its personal pronouns. 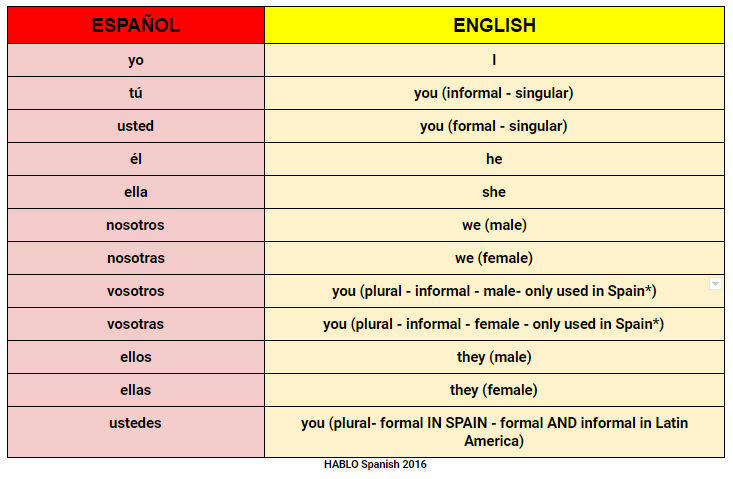 In Spanish, personal pronouns are slightly different depending on the region where the language is spoken. Here you can see a chart with all the pronouns and their equivalent in English.